The move towards a research-engaged teaching profession, working in an evidence-informed way seems to be gaining momentum. The recently established Chartered College of Teaching, highlights as one of its three central aims well informed teachers, with access to ‘high quality research’ and promotes this through its own journal, database and research summaries; meanwhile, the teacher-led ResearchEd movement has gathered pace internationally. What does this really mean on a day-to-day basis for teachers and how might we harness this growing interest in a productive and manageable way? In this post Rupert Knight explores some of the opportunities available and looks at how one group of teachers has worked on this. Why an interest in research evidence? The idea that teachers might engage with research evidence to inform their practice is closely associated with the issue of professional status. Most definitions of any profession include reference to some sort of specialised body of knowledge and the idea of having ownership of this knowledge seems to be important. For example, the BERA / RSA report ‘Research and the Teaching Profession’ in 2014, in its vision for a ‘research-rich self-improving education system’, positions research literacy as one dimension of a teacher’s professional identity. Nevertheless, the DfE’s 2017 report on progress towards evidence-informed teaching concluded that many schools were not yet strongly engaged with research and that ‘system change’ was needed to embed this into school culture. What do we mean by research evidence in education? Much of this is driven by a ‘what works’, or effectiveness, agenda. This can be seen in the high profile attempts to synthesise research findings in the form of rankings based on impact, such as John Hattie’s Visible Learning and the Education Endowment Foundation (EEF)’s popular Teaching and Learning Toolkit. Many other research summaries are in circulation, such as What Makes Great Teaching, a high profile publication for the Sutton Trust in 2014 and, as a means of helping teachers to make sense of findings, a network of research schools now exists, tasked with helping schools to make the best use of evidence to improve teaching practice. Attractive though it is for the busy professional, there are some limitations to this ‘what works’ view of research. Frequently, using a medical analogy to contrast pre-nineteenth century ‘quack’ doctors with subsequent ‘scientific’ advances, there is a tendency to valorise in particular certain forms of research such as randomised control trials (RCTs), as seen in Ben Goldacre’s Building Evidence into Education paper for the DfE. Robert Slavin goes as far as to suggest that looking for practices that are ‘evidence-based’ is inadequate. He suggests, again referring to medicine, that we should think instead of ‘evidence-proven’. So maybe the debate needs to be reframed, as seen in the ‘What Matters’ network centred on the University of Nottingham. This group is asking other fundamental questions such as: What matters? What is education for? Who should decide? Perhaps, therefore, the most important priority is to work towards a research-literate profession, going beyond a slavish implementation of findings, by initially collaborating on a small scale and focusing on meaningful, context-related questions. One example of a useful initiative is the education journal club website run by Beth Greville-Giddings. Other groups of teachers have begun to investigate their own practice, either individually or collaboratively. 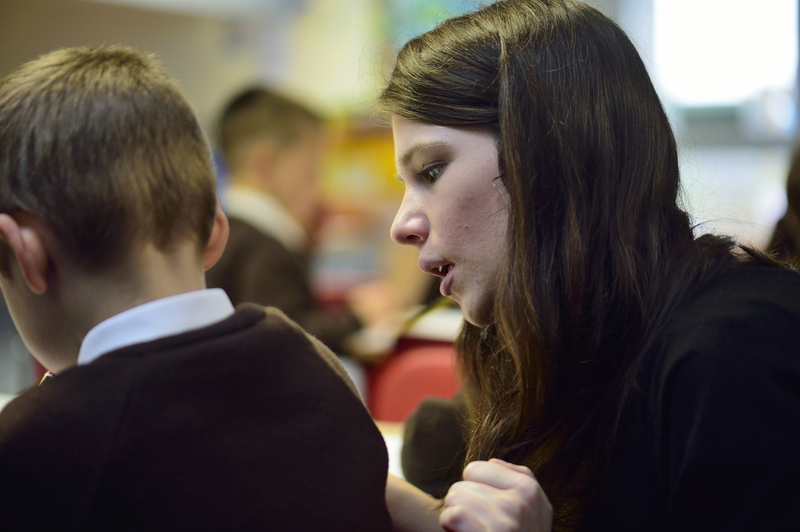 An example of one group of schools responding to this wave of interest in research and evidence in education is provided by the Transform TSA and Trust in Nottingham and Derby. In the film below, Helen Fordham, one of the associate head teachers, reflects on the process of research and dissemination in the primary school. Helen contributed a chapter to the book Evidence-Based Teaching in Primary Education in which she explores a specific Y6 project. So one of the key messages here seems to be that research engagement has potential for everyone at some level or other. Starting small but collaboratively may allow you to build confidence in exploring your own interests and priorities. And at the heart of all of this are common themes familiar to all teachers, (if all too easily lost in day-to-day routines): reflecting on what we do, developing new ideas and sharing good practice. What do you think matters most in education? What is education for? What do you see as the potential contribution of research to your practice? Who could you collaborate with and where could you start?